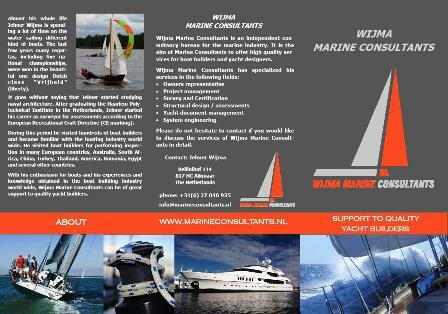 Almost his whole life Jelmer Wijma is spending a lot of time on the water sailing different kind of boats. 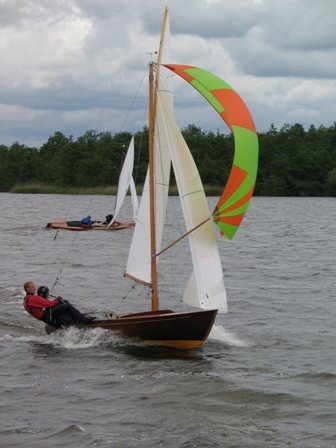 The last few years many regattas, including five national championships, were won in the beautiful one design Dutch class “Vrijheid” (liberty). It goes without saying that he started studying naval architecture. After graduating the Haarlem Polytechnical Institute in the Netherlands, Jelmer started his career as a surveyor for the European Certification Bureau (ECB). For this company he visited hundreds of boat builders for performing inspections according to the European Recreational Craft Directive (CE marking of recreational crafts). As ECB became more and more international, Jelmer became familiar with the boating industry world wide. He visited boat builders for performing inspection in Europe, Australia, South Africa, China, Turkey, Thailand, America, Romania, Egypt and several other countries. With his enthusiasm for boats and his experiences and knowledge obtained in the boat building industry the last few years, Jelmer Wijma can be of great support to quality yacht builders.